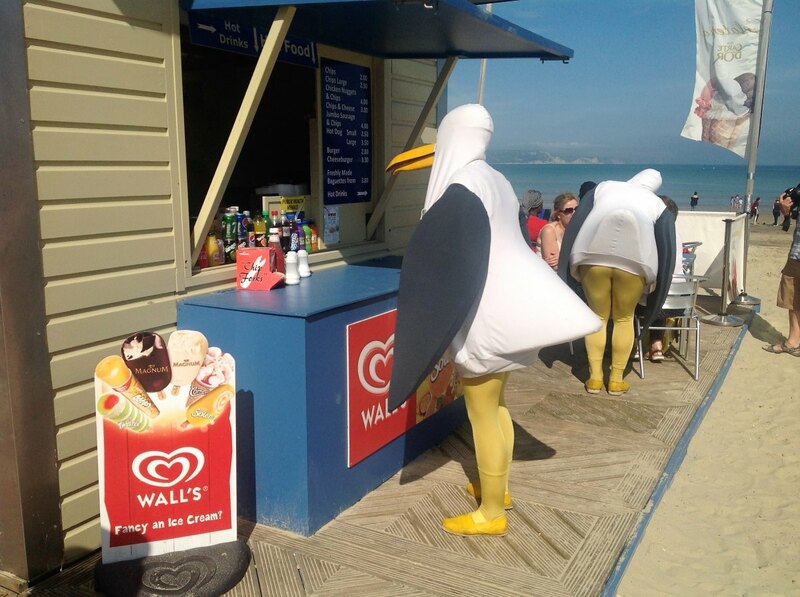 Isn’t it a pain when a seagull sneakily steals a chip out of your hands?! Not only are gulls dangerous when they dive, they end up pooing in the sea where we swim and paddle. The Environment Agency routinely measure the amount of ‘bad’ bacteria in bathing waters to determine how clean they are, and bird poo can be one source of these harmful bacteria. We ran this campaign ran from 27 May to 24 June 2017 in Weymouth. Take a look at the campaign report. We had some really positive and constructive feedback from the campaign. We have fed back to funders and Officers in Weymouth. We will also use the feedback to make the campaign even better the next time it runs. If you would like to run a campaign like this in your town get in touch. Works with businesses to get involved and spread the word. We provide them with the materials and one positive message to deliver to their customers. See the list of businesses that get involved in Weymouth below. 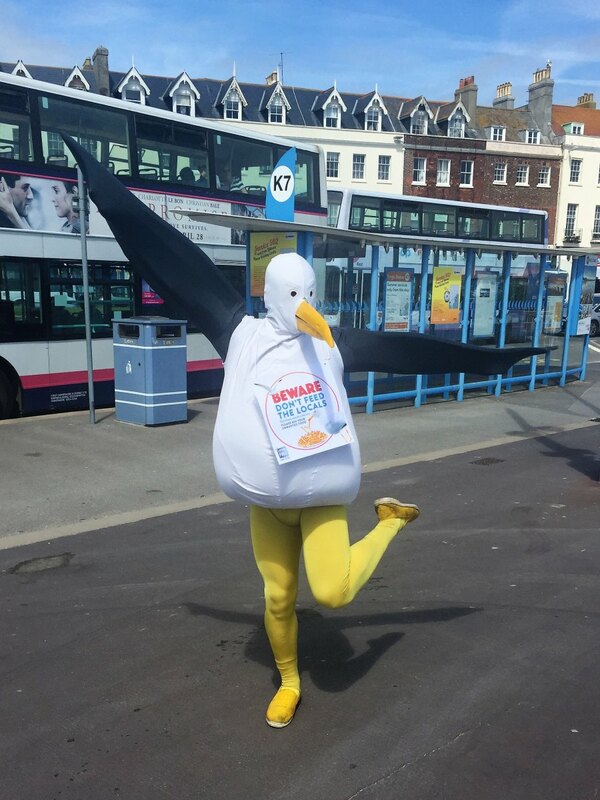 Two giant seagulls visiting Weymouth Seafront on 31 May. 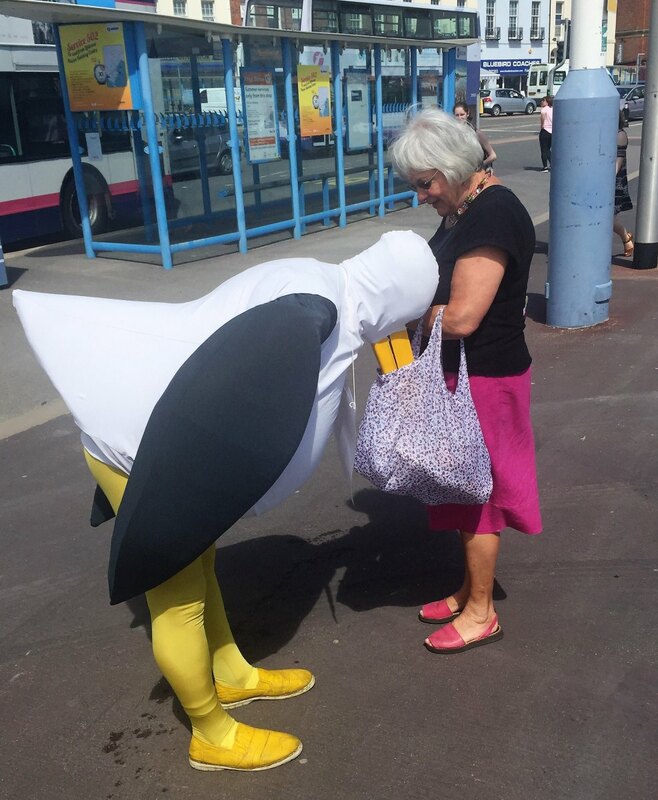 Thier cheeky nature created lots of laughs along the seafront and helped spread the message. Two Harris Hawks visiting Weymouth Harbour on 2 June. 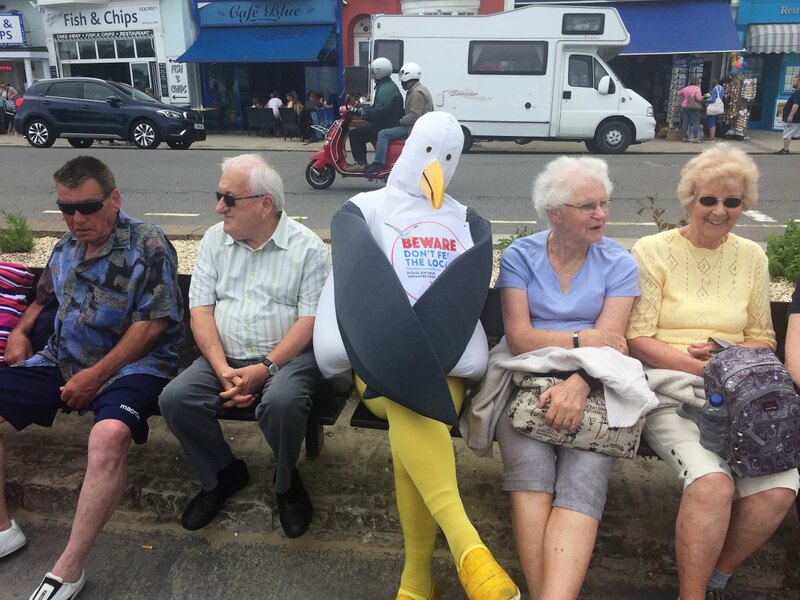 The hawks are used around Weymouth Harbour twice a week to disperse (not attack) the seagulls. 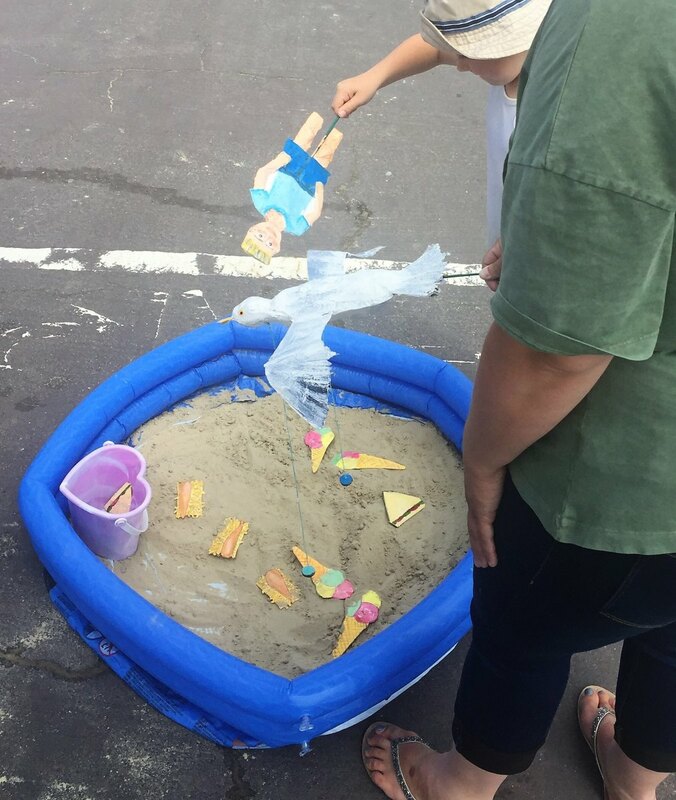 Visitors were able to speak to the hawk handlers and play Litter Free Coast and Sea’s Magnetic Seagull game. Eat with your back against a wall– this makes it much harder for them to dive on you, or sneak up behind you. Keep food close to you and stay alert! Please don’t actively feed gulls. 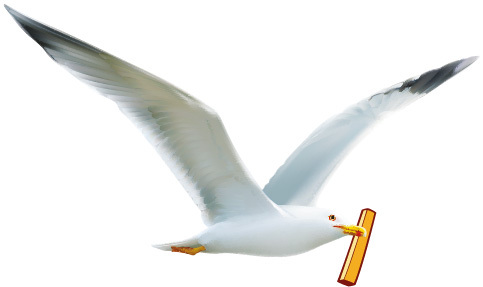 Did you know that throwing food to gulls is classed as littering? The more businesses that get involved in #DON’TFEEDTHELOCALS the more successful the campaign is. We had 45 food outlets and other businesses that engage with visitors (Accommodation providers, theatres etc.) involved in supporting the campaign in Weymouth. See a list below. 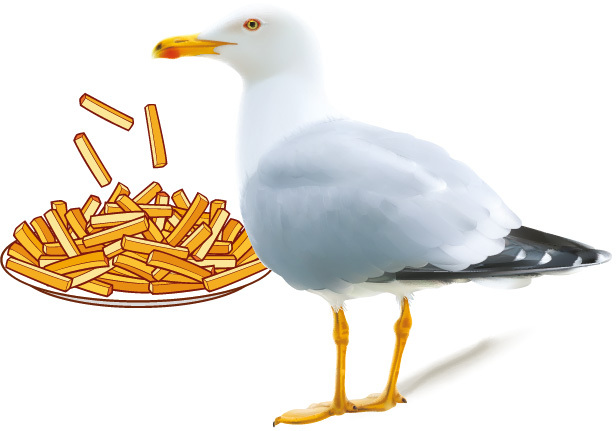 It does not cost businesses to support the campaign (we provide the stickers and posters) but businesses benefit by reducing the costs on crockery broken by seagulls. 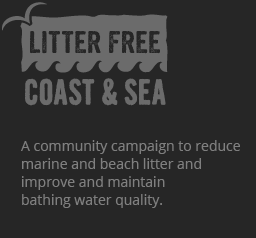 Not to mention the positive impact on bathing water quality this campaign could have.